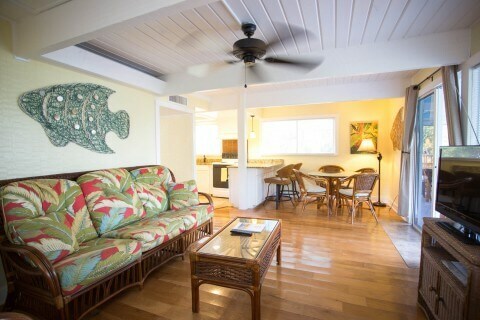 The Snook Cottage is a two story three bedroom, two bathroom air conditioned stilt cottage located on a private parcel of land separated by a canal. 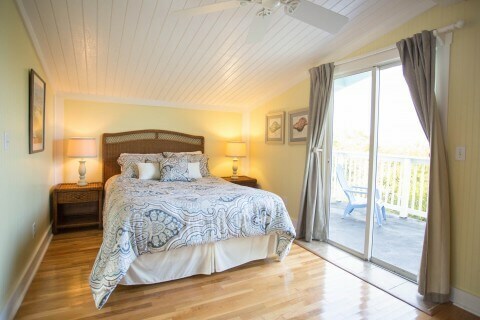 Remodeled in 2012, the cottage is equipped with a queen bed in a bedroom upstairs, two twin size beds in a bedroom upstairs and a king bed in the bedroom downstairs. It also has a comfortable living room, basic TV, fully furnished kitchen, central A/C, a screened porch, private dock and beautiful water view. 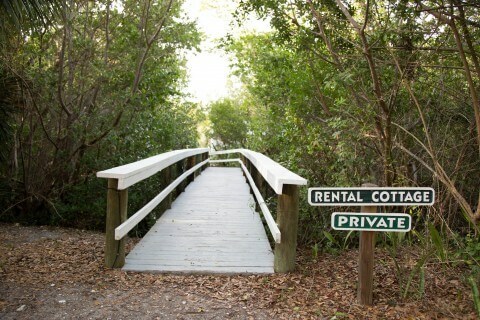 Bridge taking you to private island that the Snook Cottage is on. My wife and I have been happily married for 47 years and live on Sanibel. 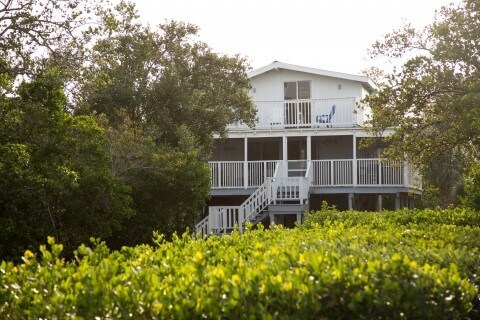 My first overnight was a great time with my 3 sons in the Snook cottage, up early to fish and explore. When I returned home I thought “wouldn’t it be fun to take my wife for a weekend getaway”?? The Dollhouse is perfect for two, coffee and sunrises at your own dock. Just a kick back and unwind. The restaurant is classic, the staff are friendly and helpful. Try it…..you’ll like it.